These mens slip on shoes are great for a casual look. 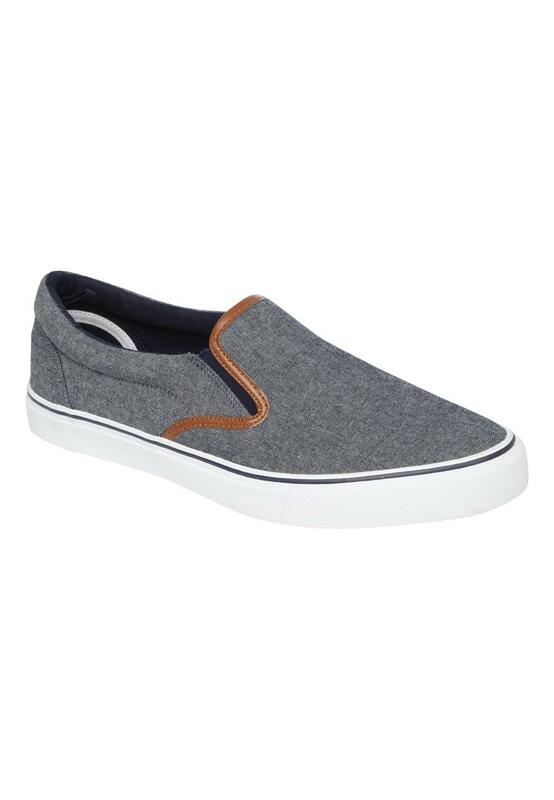 With elasticated side panels, these shoes are easy to slip on and perfect for a day in sun whilst walking around. Wear with cargo shorts and a printed tee.